Prime Minister Justin Trudeau says there is no "Plan B" in the event talks to renegotiate the North American Free Trade Agreement break down, insisting the trade pact is too beneficial to the Canadian and U.S. economies for it to be terminated. Prime Minister Justin Trudeau says there is no "Plan B" in the event that talks to renegotiate the North American Free Trade Agreement break down, insisting the trade pact is too beneficial to the Canadian and U.S. economies for it to be terminated. During a question-and-answer session on Canada-U.S. relations in the Trump era during an interview with The New York Times, Trudeau said Canada is diversifying its trade ties with other countries, but stressed that the U.S. is its most important partner. "There's no need for a Plan B. We'll continue to engage in a constructive, thoughtful way," he said. "NAFTA has been improved a dozen times over the years, and we will do it again to update it to what the challenges we're facing now are." Trudeau rejected the idea that any U.S. administration would scrap a deal that is crucial for jobs and economic prosperity. He said he is "100 per cent" sure the trade deal will be intact a year from now, and is confident it will remain strong further down the road. "I can guarantee you we will be in plenty of trade deals, and NAFTA will remain a hugely important and successful trade deal for both of our countries," he said. "I can understand the politics around saying we need to improve it, it's terrible. The facts don't necessarily bear that out. It's created massive numbers of jobs in our economies, it's created tremendous advantages." Asked about his strategy to deal with Donald Trump, Trudeau said he is focusing on issues where there is agreement and common ground. He described Trump as a leader with an open mind who listens, considers diverse arguments and keeps his word. "He will look at the ensemble of facts, of proposals, of impacts you put together and he will be open to shifting his position," he said. "That's something we can definitely work with." Trudeau said whenever Trump has made a commitment or an engagement to him, the president has followed through on it. One area where the two countries find themselves far apart is over the Paris climate change accord, which the U.S. has withdrawn from. 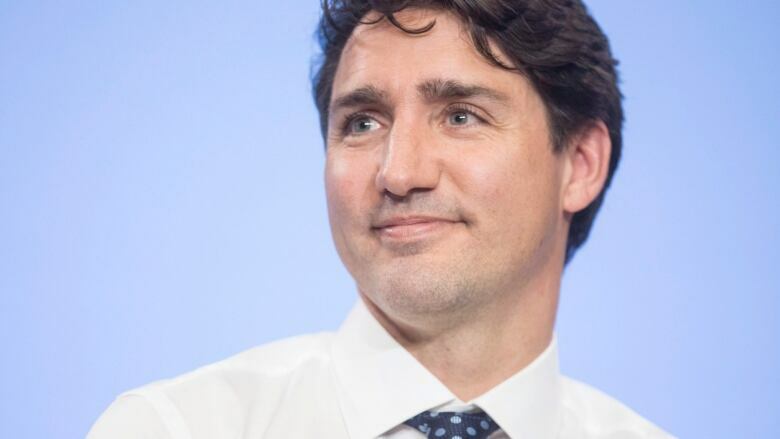 Trudeau rejected claims that the government's carbon pricing scheme could put Canada at an economic disadvantage, and said the U.S. pull-out could be an economic boon for Canada. "If the United States slows down on its moving towards the future on climate change, that could be an opportunity for Canada to step up, to be innovating, to draw in investors and partners from the U.S. and from around the world that do understand that this is the way the world is going and Canadian leadership, Canadian innovation, Canadian values give us tremendous opportunity," he said. Trudeau conceded Trump's use of Twitter and social media creates a "new wrinkle" in international diplomacy, but said he does not respond to each tweet posted by the president. Instead, he waits for a briefing in the morning. Trudeau sat down with Peter Baker, the newspaper's chief White House correspondent covering Donald Trump's administration, and Catherine Porter, a Canada correspondent and Toronto bureau chief, for the session at the University of Toronto's Rotman School of Management.